ChromeStead is a really interesting blog from Guy Shearer who is head of IT and data at David Ross Eduction Trust, which I think is a private school. From the title you would think it was all Google and chromebooks but the schools seems to use a mix of Google Apps, O365 and other products. This makes an enjoyable change from blogs from the PoV of one company supporter or another. The idea of using a mix is very appealing. The school has single sign on for both services, which I believe is possible using RM unify now. Also from From a Glow perspective there are a lot of interesting posts about O365. Here is an example aside. 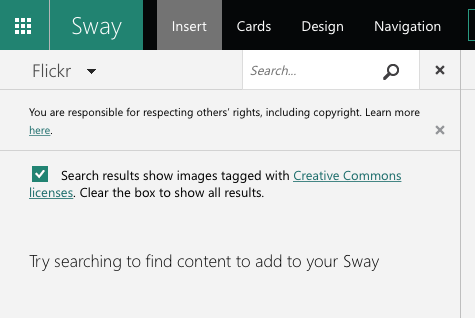 (I just wish someone at Microsoft could forget to invite the Sharepoint team to the next planning day so that they can come up with a Classroom competitor that works cleanly and simply like Sway). I tried this iPhone app out before the summer on the recommendation of Ian Stuart. At that time it was not integrated with O365/Glow and its main selling point seemed to be it took great pictures of whiteboards and straightened them up nicely. Back then I gave it a try and it did that job, but not, IMO, as well as Scanner Pro. Scanner Pro is £2.99. (I like paying for apps, if you are not the customer…). So last week when Ian mention that it was now integrated with O365 for business/school (ie Glow), I didn’t get that excited but I did download it. Not being at a conference or near a whiteboard I just did a quick scan of a newspaper and saw that it uploaded. Hot on the heels of Sway comes Delve. This is a sort of search engine come Pinterest for O365. This post is just a quick note. I’ve only spent an hour or so last evening having a quick look at delve in the browser and iOS app. I have been amazed by the results of searching. Who would have thought there were so many results for ‘voles’! 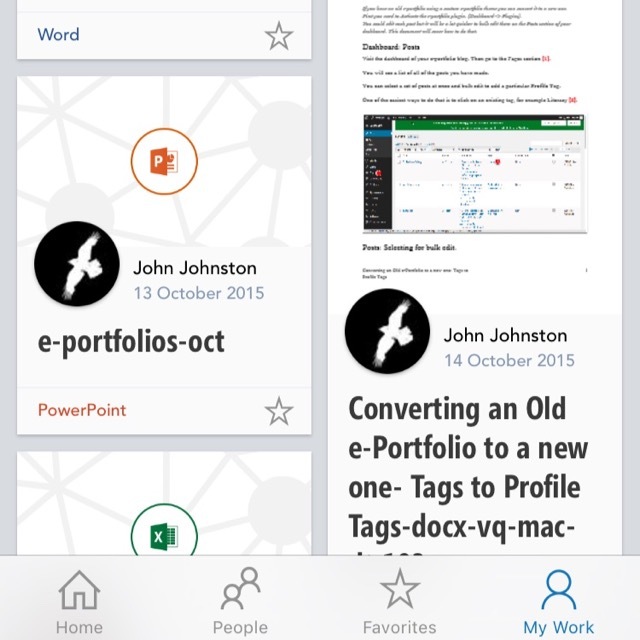 If you have a glow account it is worth heading over to O365 and opening delve from the waffle. Then just search for something. Next step is to start a board. This is the Pinterest bit. The more folk that do this the more interesting it will get. Boards are not supported on the iOS app but appear in the works. Boards are shared, looks to me like a collection of tags. It seems to take a while sometimes for these to come through if someone else tags them. I’ve not really spent that much time in the O365 bit of glow. I have been fairly critical of sharepoint in the past but delve looks like it might be the most interesting part of the whole O365 setup. More info on the Glow Help Wiki. 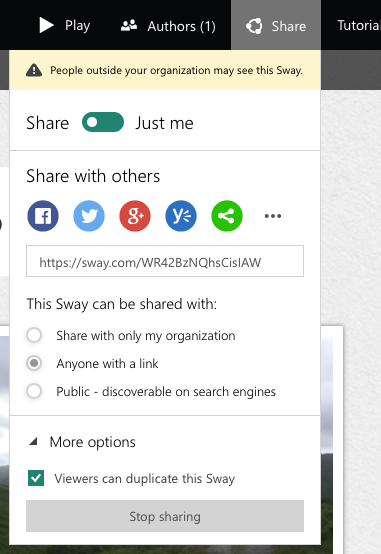 You can opt out of sharing your stuff on Delve, but I am not sure why you would, other users only see your documents if you have share those particular docs with them. 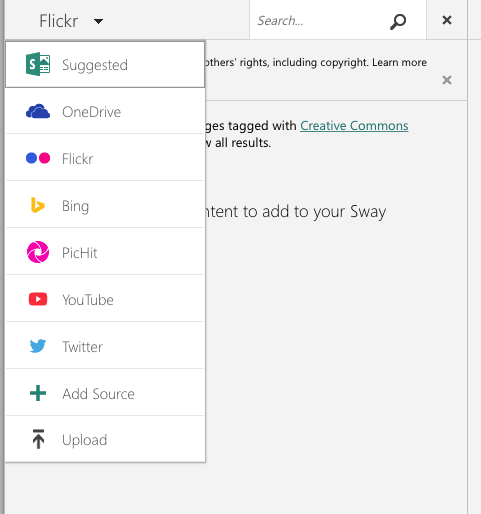 Sway has arrived for Glow users. Create and share interactive reports, presentations, personal stories, and more. I blogged a bit back in May. Basically the app helps you present media online in a slick way. I’ve mostly looked at the iOS version. The different versions, Windows, web and iOS so far have different feature sets and a personal Microsoft account allows you do do slightly different things from a business/education account. The app feels as if it is in pretty active development. Features that were coming soon in May are here. What is particularly interesting, from my point of view, is that sways can be made public on the web and can be shared ready for remix. It didn’t take very long to add text and images. One difference I noticed was if I was signed into the app with a personal account I could upload video in iOS, I could not do this with my Glow account. Hopefully coming soon. The browser app has a lot more options, including built in searches over flickr, youtube and other media sources. It also looks like if you create or even edit a sway in the browser you cannot edit it afterwards on iOS (I might be wrong about this). I do not think either of these things are a great problem, we now know an iPad is a great content creation device and I would hope pupils would be using there camera and their own images for the most part on mobile. I’ve got the same feeling about the slickness of the creations as I had back in May, mostly about the ‘automatic creativity’ but the most exciting two things about Sway are public sharing and remixing. Users have control over who the Sway is shared with and if they will allow their Sway to be duplicated by others. 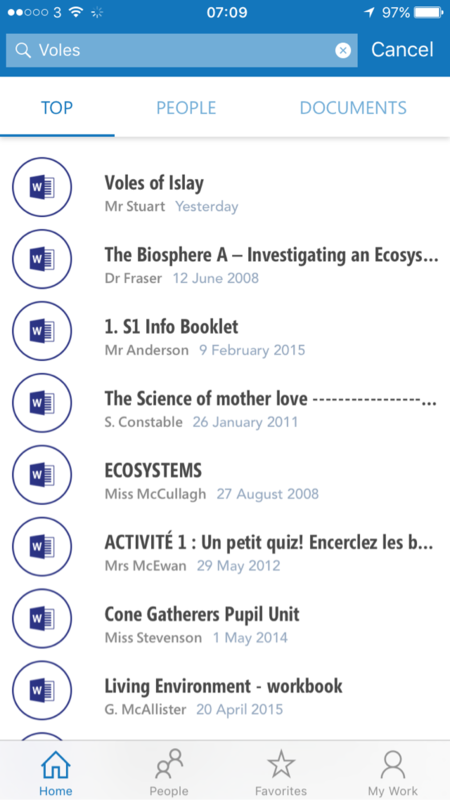 This is the first of the O365 services to allow public sharing which is very encouraging for those who see value on pupils sharing widely. I also think that the ability to remix, change and improve someone else’s creation is a important skill. We want pupils (and teachers) to understand aspects of copyright and creative commons. Unfortunately the editor does not auto-add attribution but it can be copied and pasted in the browser. I can embed a sway in this blog using the embed code. Unfortunately this is via a iFrame. iFrames are not supported in Glow Blogs. I do hope we can develop oEmbed like functionality in the Blogs soon in the same way as we have for ClickView video. It looks like Sway itself supports oEmbed of other content so I’d hope that oEmbed of sways is at least under consideration. 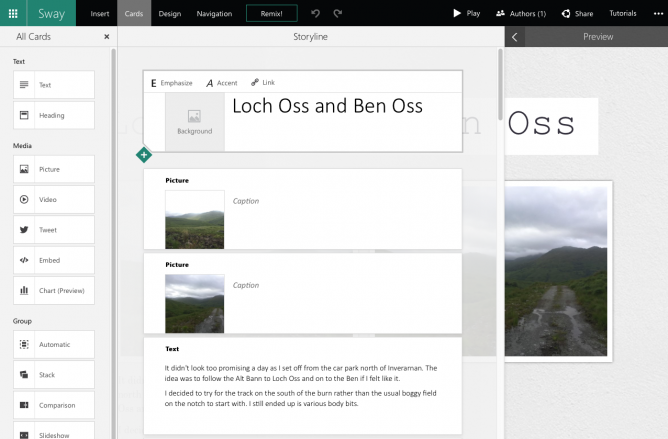 I’ve barely scratched the surface of Sway, and look forward to seeing how it is used in Glow. Update 11.11.2015 Glow Blogs support the embedding of sways, just paste the url to a sway into the editor: Embedding Media | Glow Blog Help.